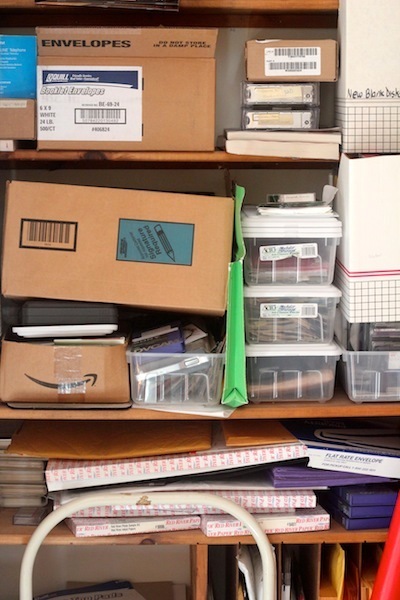 I have openly confessed on this blog that, although I create neat organization schemes, I still have some embarrassingly unorganized spaces in my life. I am slowly working my way through them, one by one, but have more on the "to-do" list than on the "done" list. Along the way have I learned the importance of storage containers and I am always buying more. Yesterday I was in Walmart and stopped in the storage container area. (Mini rant here - both storage and household areas have decreased markedly in size to make room for food. I am not a fan of the change.) 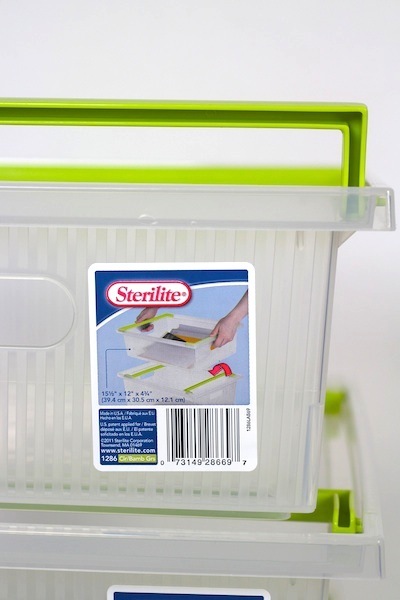 Back on topic - there is a new style of Sterilite storage container that looks perfect for my office supply closet. Check these out. They have no cover but instead can stack because of handles that flip in. 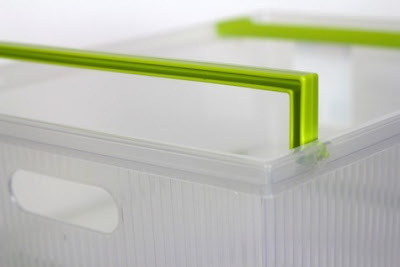 The advantage I see is that even after you have stacked them, you can easily slide yet another of that item into the container. You don't have to unstack, uncover, insert, recover and restack. 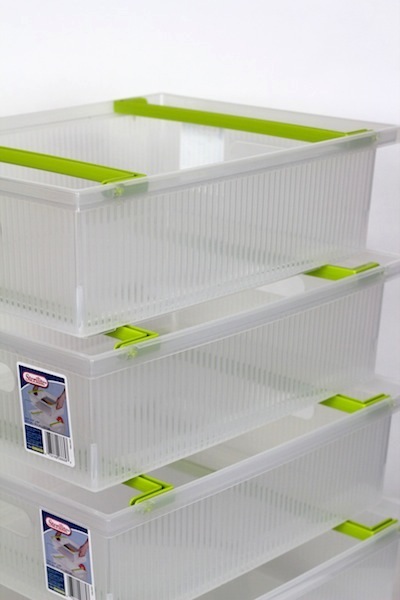 Should make staying organized easier! Each end has a little handle that flips toward the end to allow nesting and toward the center to allow stacking. Yup! Another example that proves the point. I am not half as organized as people think I am! I promise to post pictures once I re-organize but it isn't at the top of the to-do list yet. These containers are available individually from Walmart for $3.50. I have also just checked and they are available from Amazon Prime in a 6 pack for $23.82. Those containers look great. I bet they would be perfect for my portable office. These would help keep me organized.